The Lenox Villas condos are among the most desirable attached living spaces in Atlanta’s fabulous Buckhead neighborhood. Upon entering the community gate, the Lenox Villas complex stand four stories high and features 175 individual condos, providing plenty of options and opportunities for potential condo buyers in the area to consider. Most condos for sale at The Lenox Villas feature pretty spacious one and two bedroom floor plans, while interior finishes commonly include hardwood flooring in the main living areas, a fireplace in the living room, fully updated kitchen finishes and features, nicely re-done bathrooms, and even a private balcony that allows residents to soak in the pleasant community vibe that surrounds the Lenox Villas complex as a whole. Along with plenty of resident and guest parking, and a private gated entrance for added security and privacy, The Lenox Villas community also features and nice outdoor swimming pool and sundeck, which is an awesome feature to enjoy during those hot Atlanta summers. 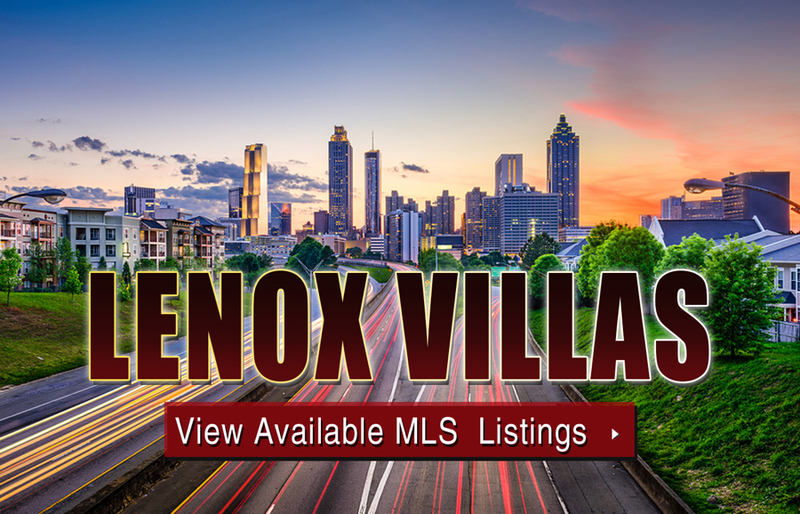 For more information about Lenox Villas condos for sale, contact The Zac Team today, or click the link below to see what’s currently featured on the MLS. Listed below are recently closed sales at Lenox Villas. Whether you’re thinking about buying or selling a condo at Lenox Villas, checking to see what other comparable properties have sold for in recent weeks and months provides helpful insight into current market conditions within the community. For more information about Lenox Villas condos for sale or for a complete list of recent homes sold in the neighborhood, contact The Zac Team today! Can’t find what you’re looking for in Atlanta’s Lenox Villas? Start browsing other Atlanta real estate for sale or give the Zac Team a call at 404.564.7272 for help with your new home or condo search today!